Windshield Channels are required for the installation of Bikini® tops. Windshield Channel and Bikini® combinations are not interchangeable, so be sure to check the Bikini® top application before purchasing a Windshield Channel. 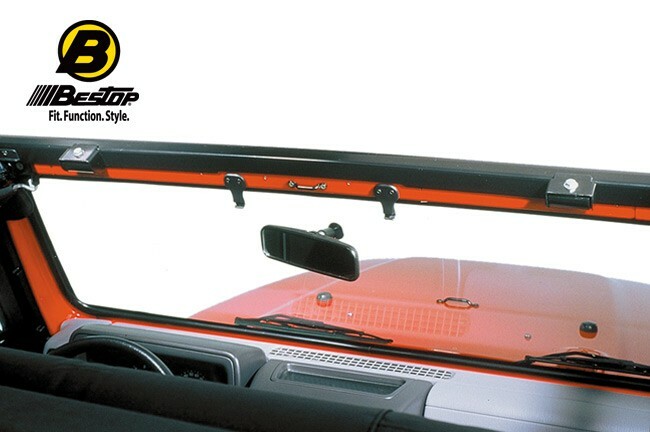 Bestop soft tops come with windshield channels. Bikini tops do not: the header must be purchased separately. Replacement channels for soft tops are also available.